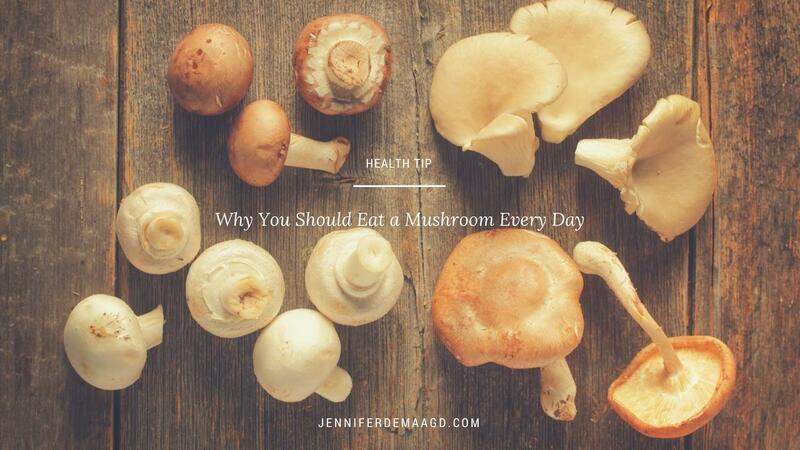 Did you know that eating just 1 mushroom a day can decrease the incidence of breast cancer by 60 to 70%? The same study showed that women who also consumed green compounds from green tea daily (along with the mushroom) had an 89% decrease (premenopausal women) and 82% decrease (postmenopausal women) in risk for getting breast cancer. Wow! Mushrooms contain compounds called “aromatase inhibitors”. Aromatase is an enzyme that is used to produce and regulate estrogen in the body. Excess estrogen is thought to contribute to the development of breast cancer, so if we can reduce aromatase we can also reduce estrogen in the body. How cool is it that mushrooms can do this? Different mushroom varieties contain different levels of aromatase inhibitors. Cooking has little or no effect on the anti-aromatase activity, so it works whether you eat the mushrooms raw or cooked. I absolutely love to think of my food as medicine. That’s why it’s so important to eat well. It will definitely make you feel better, but it could save your life! I love to put mushrooms in my salads and scrambled eggs, sometimes I’ll have a grilled portobello instead of a burger too. In a large pot, heat the oil over medium heat, add the onions and garlic and sauté for about 8 minutes until slightly browned. Add the chicken broth, barley, mushrooms, and soy sauce and bring to a boil. After it boils, reduce heat to low and simmer, covered, for 45 minutes, until the liquid has evaporated. Make sure to stir frequently. Add the parmesan cheese and salt and pepper to taste. This gravy goes great with chicken and rice. It’s also fabulous over mashed potatoes! In a large saucepan, heat the oil over medium-high heat. Add the onion and garlic and cook for 4-5 minutes. Add the sliced mushrooms and sauté until most of the liquid from the mushrooms has evaporated. Add the flour and stir to coat the mushrooms, then slowly add the stock and stir until the flour dissolves. Add the soy sauce and boil over medium high heat, constantly stirring for about 5 minutes.